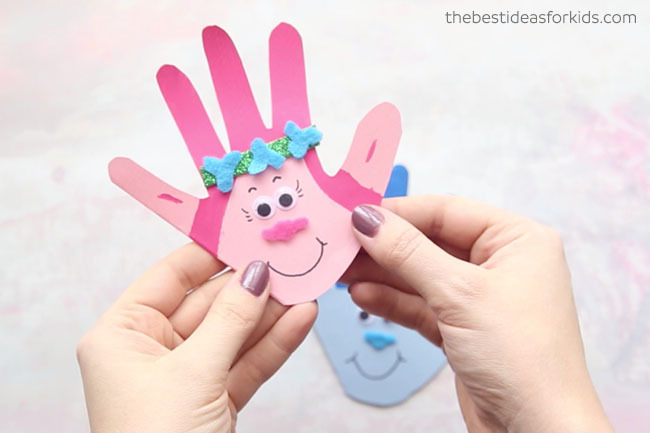 Mother’s Day is one of our favorite holidays to make handprint crafts. Our very first handprint craft, these butterfly handprint cards are one of our most popular. 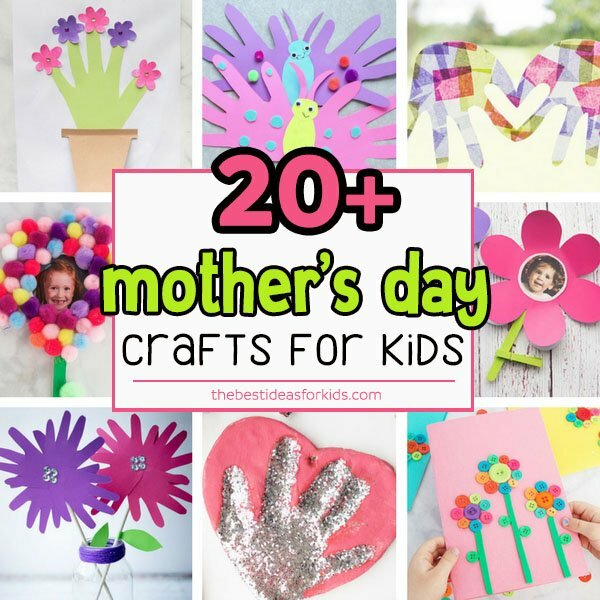 But beyond handprint crafts we have lots of Mothers Day Crafts for Kids here and we’re sure you’ll love some of these ideas! 1. 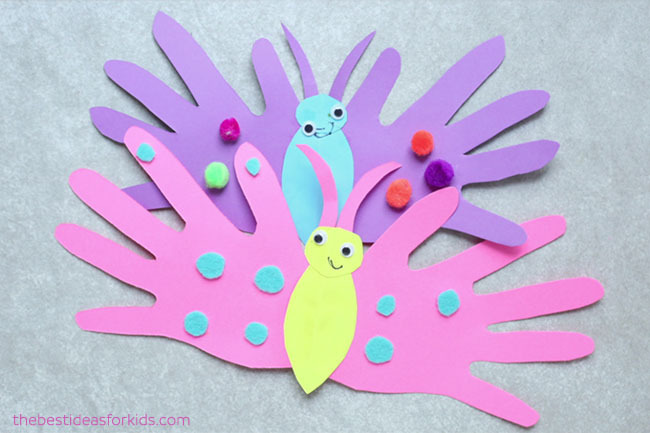 These butterfly handprint cards are perfect to make for Mom! 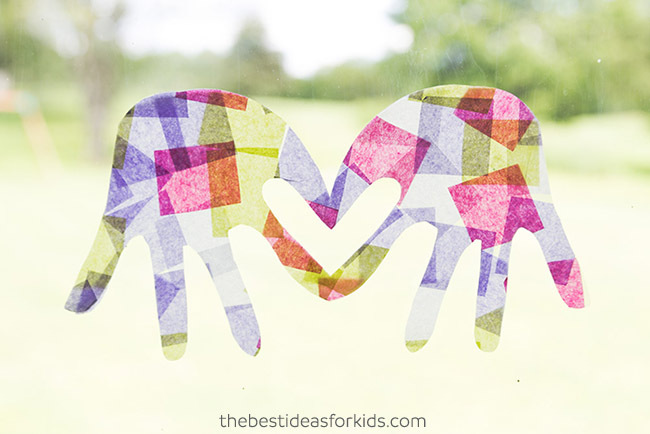 Add a Mom or Dad handprint behind the child’s and you can also make it for Grandma! 2. 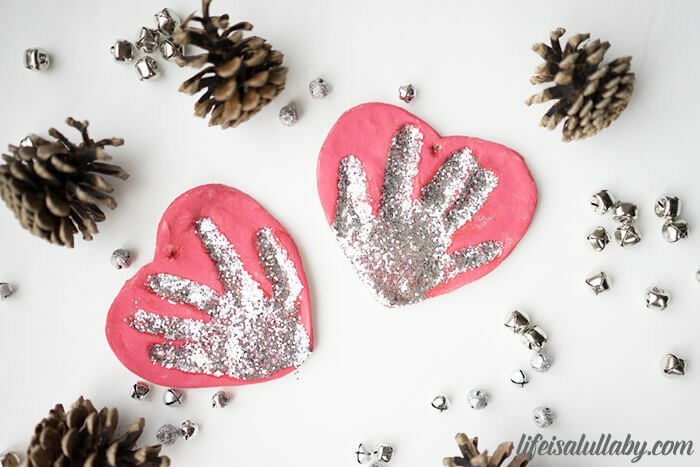 Salt Dough Handprint Ornament – this salt dough recipe is perfect for taking an imprint of your child’s hand and to give as a gift for Mother’s Day! 3. 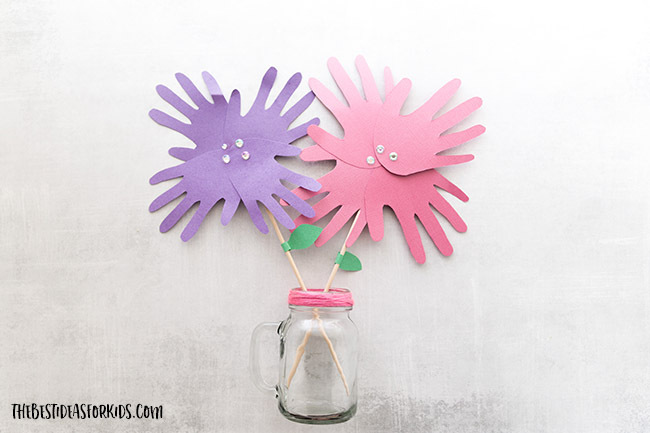 Capture your child’s handprints and turn them into this handprint suncatcher! 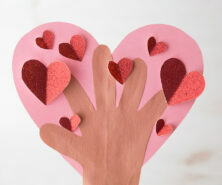 We love that the two hands form to make a little heart where the sun can come through too. 4. 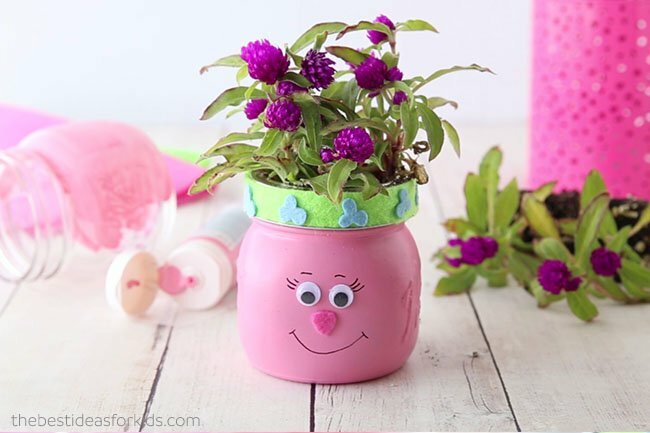 This Mother’s Day Handprint Flower Pot is so cute! We love that the pot opens up to make a card inside. 5. 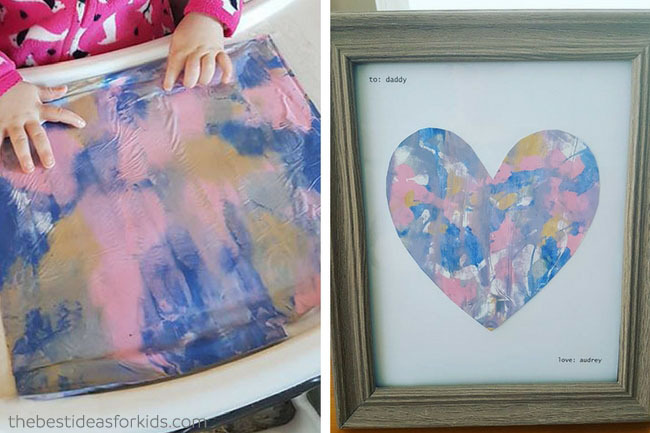 If you have a toddler, this Mother’s Day craft for toddlers is perfect! This mess free painting idea is especially great for toddlers that don’t like to get their hands messy with paint. 6. 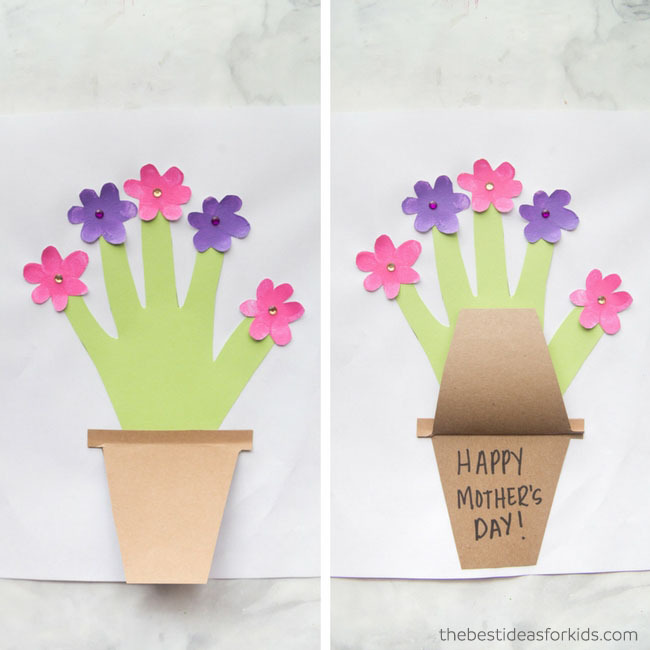 If you’re looking to make a flower for Mom, this free printable flower template is so cute! 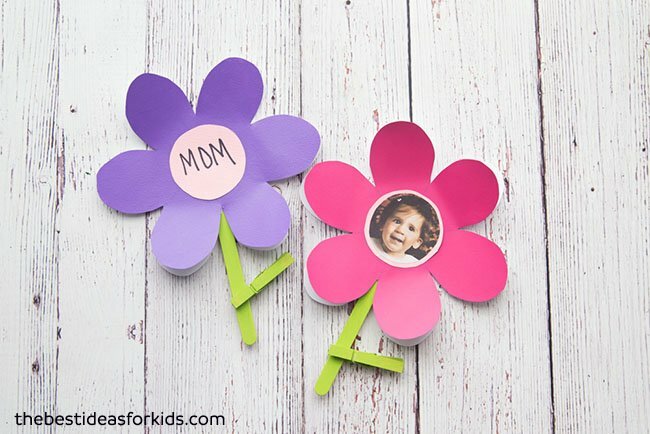 You can add a photo and under each petal you can write a special message to Mom. 7. 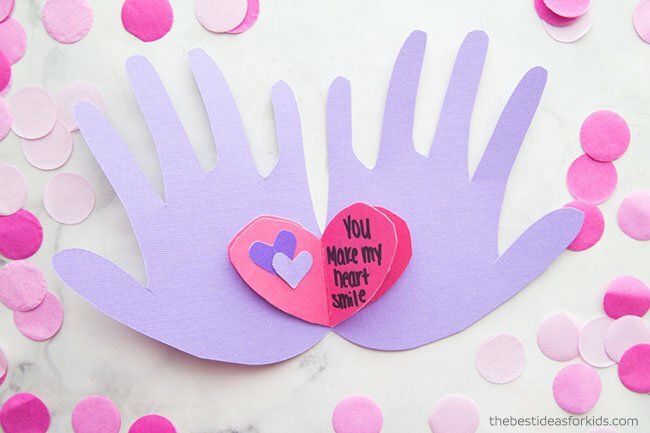 This Handprint Heart card is easy to make and Mom will love all the messages you can write on the hearts inside! 8. Nothing says I love you more than the cute phrase “I love you to pieces”. 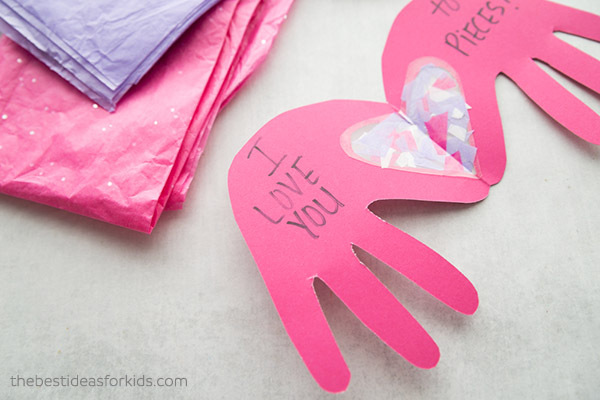 Tear up little tissue paper pieces and make this handprint card craft for Mom! 9. These handprint flowers make a perfect centerpiece or office or kitchen decoration. We love how these flowers can be kept for many years to come! 10. 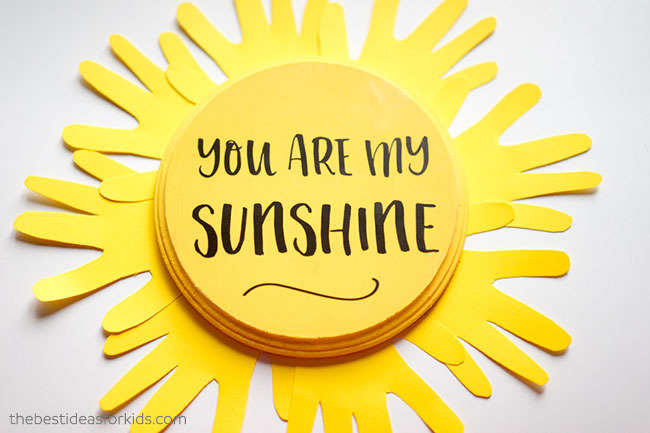 This You are my sunshine handprint keepsake is perfect to give as a gift for Mother’s Day! 11. 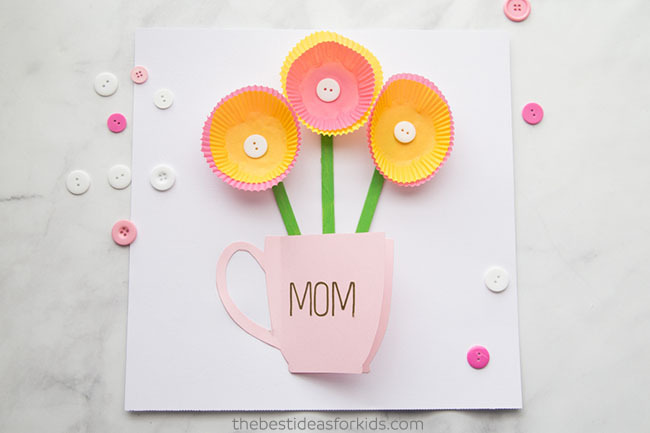 Make a homemade Mother’s Day card from buttons! 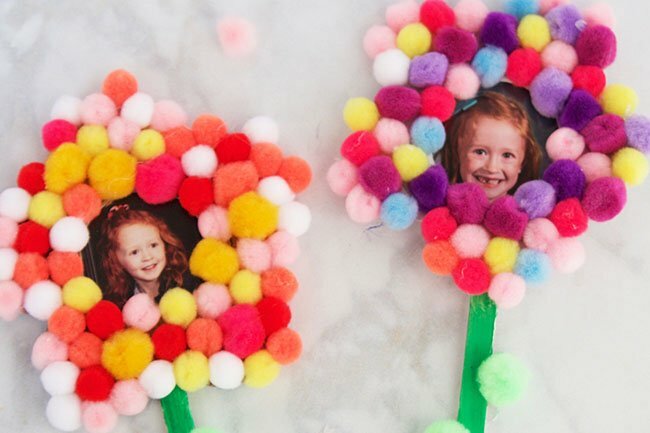 We love these easy button flowers for a DIY Mother’s Day card. 12. These pom pom flowers are so cute! You can turn them into magnets for the fridge or make them as gifts for Mom. 13. 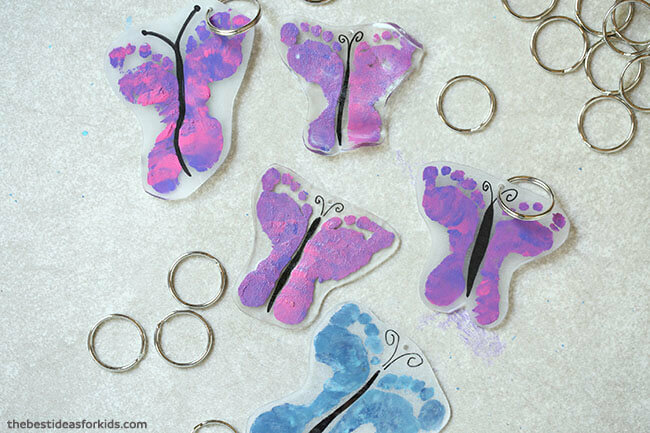 These shrinky dink footprint keychains are simply the best keepsake! Mom or Grandma will love having little feet or handprints on their keychain. 14. 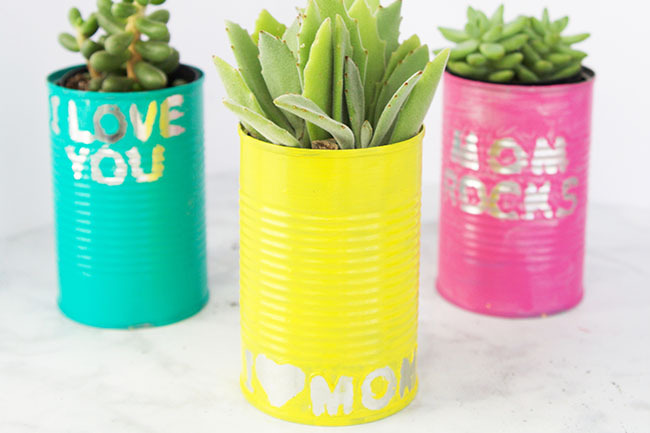 If you like a recycled project, these recycled tin can planters are easy to make! Plant some spring flowers and brighten up Mom’s window sill with these. 15. If you want to give mom some flowers, these Trolls mason jars are the perfect DIY craft to make for her! 16. And for all of the Trolls fans, you can make these Troll handprint cards signed, “Love your little Troll”. Mom will love getting her very own Troll card! 17. 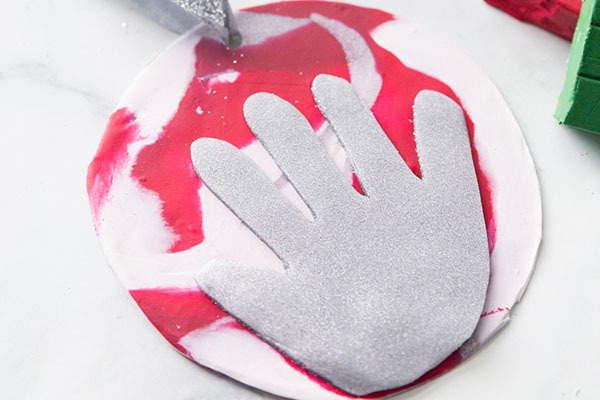 If you find salt dough hard to work with, you can make a clay handprint keepsake! Turn it into a dish like these leaf clay dishes or trace the hand and you can even make the hand into a jewelry dish! 18. This cupcake liner flower card is easy for anyone to make! 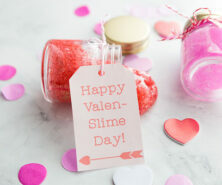 Grab our free printable template and you’ll be on your way making this lovely card. 19. 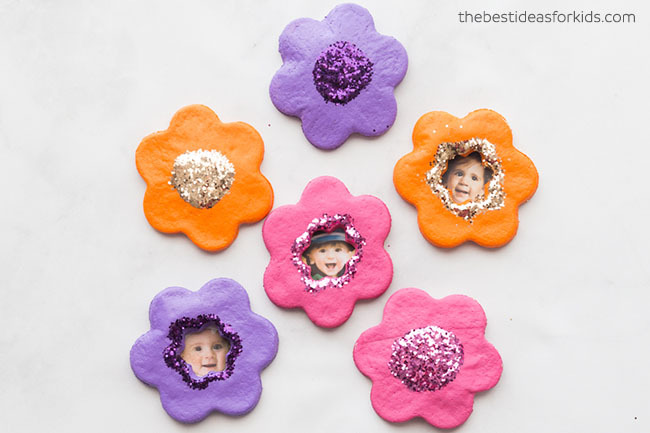 These salt dough flower magnets are perfect for kids to help make. They make a great gift for Grandma or other family members too! 20. 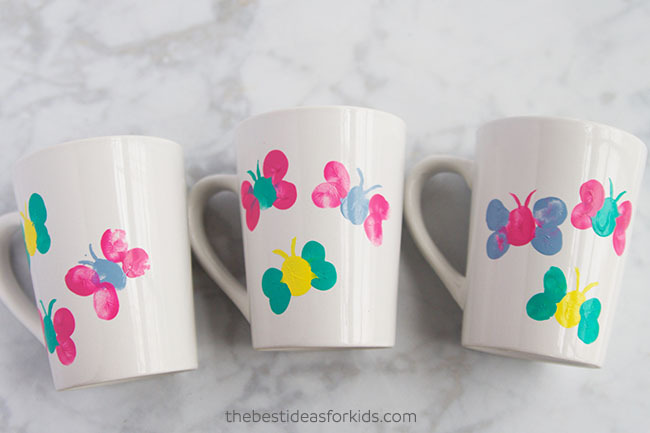 These thumbprint butterfly mugs make the perfect gift for Mother’s Day. 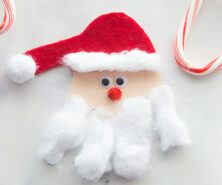 Kids will love making these for Mom. 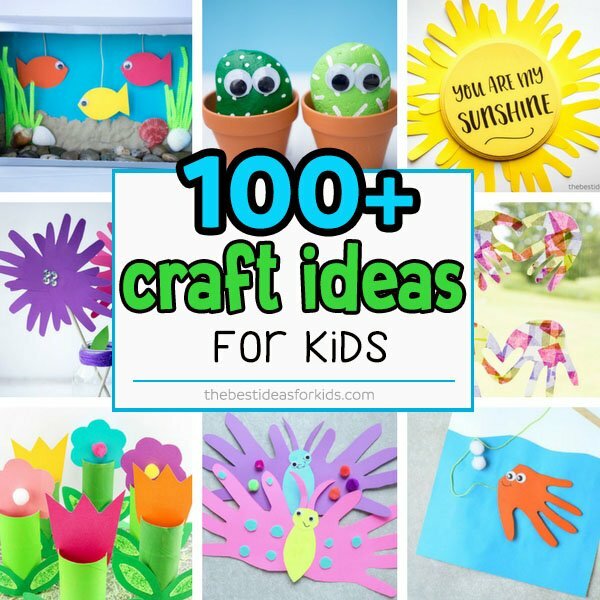 See over 100+ of the best craft ideas for kids.